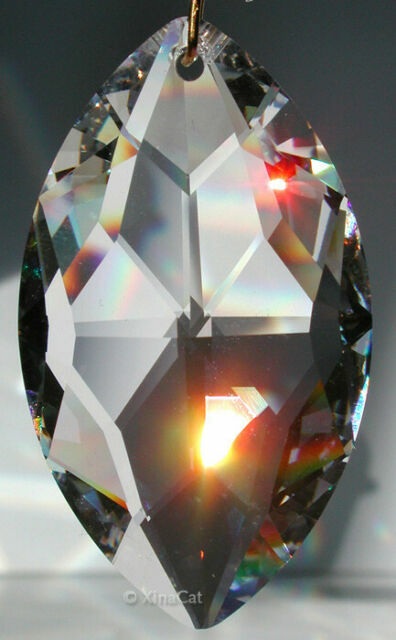 8745-50mm STRASS Swarovski Marquis Cats Eye Austrian Crystal Prism Suncatcher 2"
Shape: Marquis, Art #8745. Use as a charm for Making Jewelry, Suncatchers, Earrings or Cute Pendants. Makes great rainbows! Uses for this Crystal Prism Window Prism - flash great rainbows everywhere in direct sun! item 1 8745-50mm Strass SWAROVSKI Marquis Cats Eye Austrian Crystal Prism Suncatcher 2" -8745-50mm Strass SWAROVSKI Marquis Cats Eye Austrian Crystal Prism Suncatcher 2"
item 2 8745-50mm Strass SWAROVSKI Marquis Cats Eye Austrian Crystal Prism Suncatcher 2" -8745-50mm Strass SWAROVSKI Marquis Cats Eye Austrian Crystal Prism Suncatcher 2"